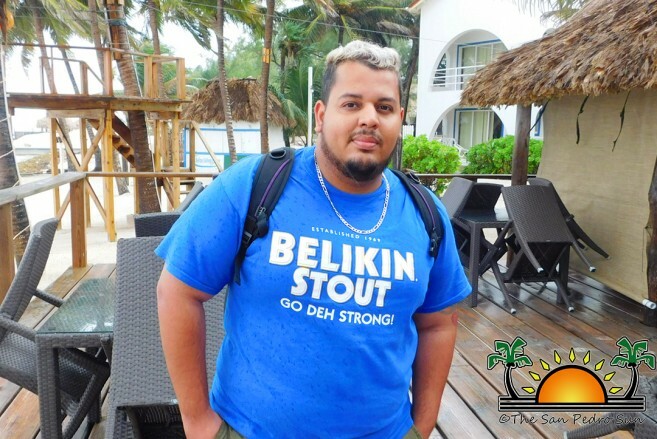 Belikin Beer held its 2019 calendar audition on Saturday, January 27th at the Caribbean Villas Beach Resort south of San Pedro Town. The auditions were conducted from 10AM to 2PM by Belikin Beer Photographer Ernie Alpuche and Belikin Beer Brand Coordinator Jayson Solis. Due to the weather, the outcome was not as it was expected with only five models presenting themselves for auditions. “We didn’t have a huge outcome as we hoped, but at least we had a few girls that came out despite the weather,” said Alpuche. “We took their pictures and information of the aspiring candidates. After we finish conducting all auditions at various locations across of the country, the entire team will then sit down and decide which models have the best attributes to be in the calendar.” Alpuche also mentioned that it doesn’t matter which area the auditions are taking place anyone can audition. The Belikin Beer calendar is a yearly calendar that is known for showcasing attractive Belizean women while promoting the Belizean brew. It features models in swimwear engaged in a natural environment such as sunsets, mangrove trees, beaches and even the jungle. Belikin Beer thanks all the young ladies that came out and auditioned for the 2019 calendar. The next date for auditions will be on February 3rd at Sit &Sip Lounge in Belize City, followed by February 17th at Ocean View Restaurant in Dangriga Town, February 24th at HI5 Sports Bar in Orange Walk Town, and March 3rd at Midas Resort in San Ignacio Town. To find out more about the auditions or to schedule a time interested persons can call 227-7031.